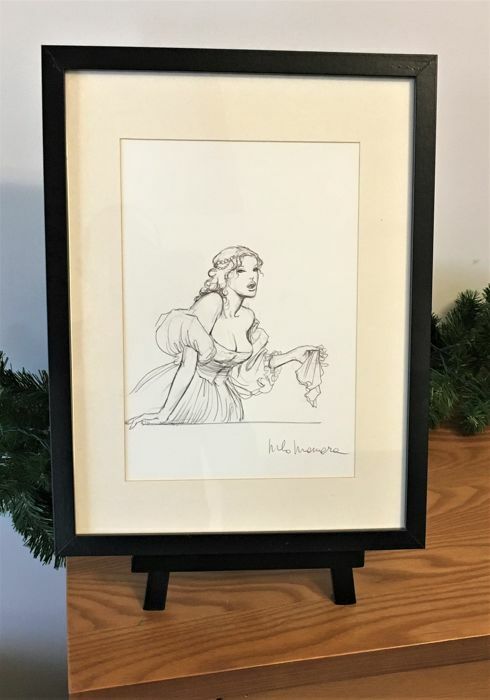 Manara, Milo - Dessin original - "Courtisane"
Format: 32 x 24,5 cm. Beautiful original illustration by maestro Milo Manara. Elegance, charm and sensuality come out from this representation of the courtesan seen by the Italian master. Size: 32 x 24.5 cm.